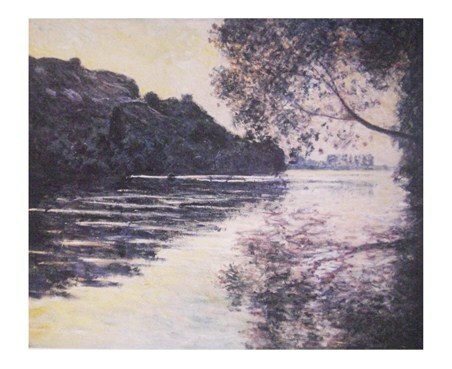 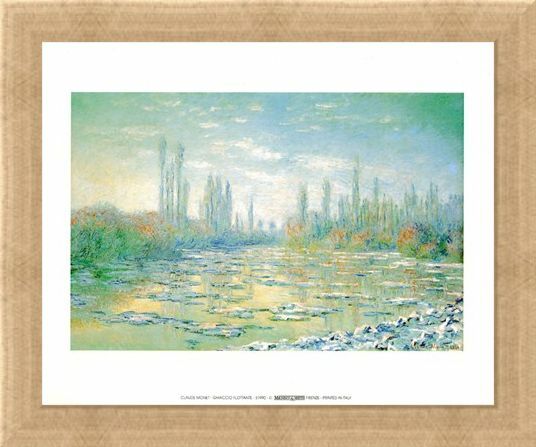 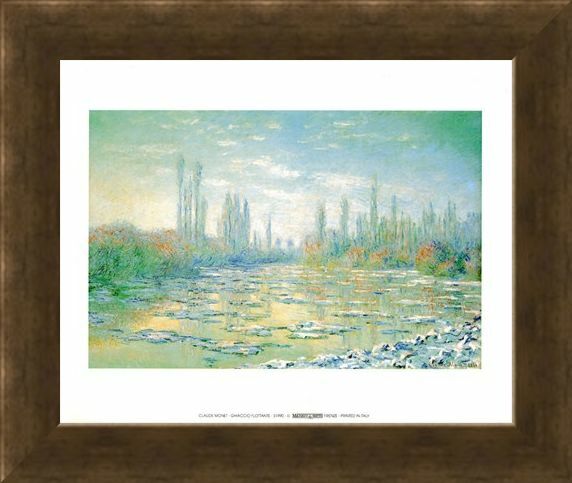 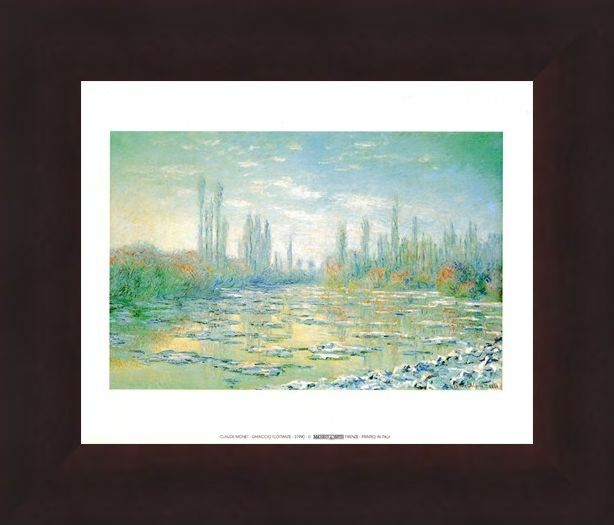 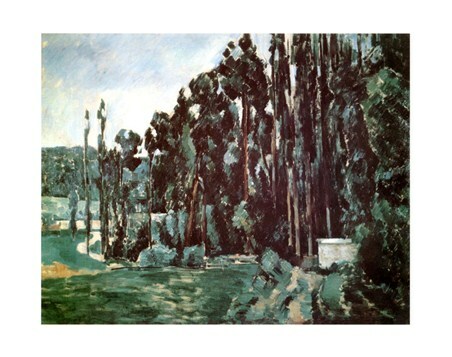 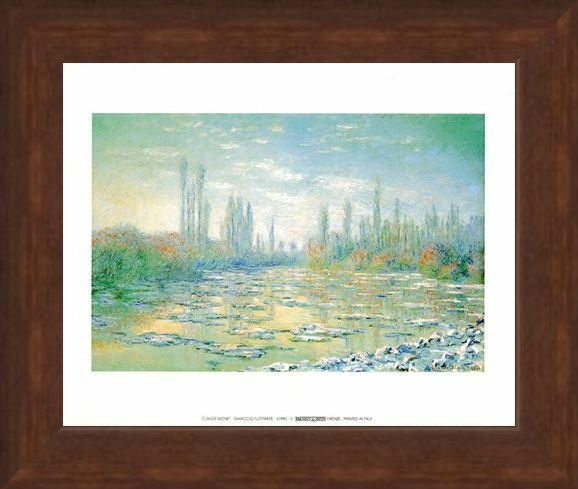 Art Print: Proving his worth as a founder of the French impressionist movement, Claude Monet illustrates the movement's philosophy of expressing one's perceptions before nature in this stunning example entitled, 'Ghiaccio Flottante'. 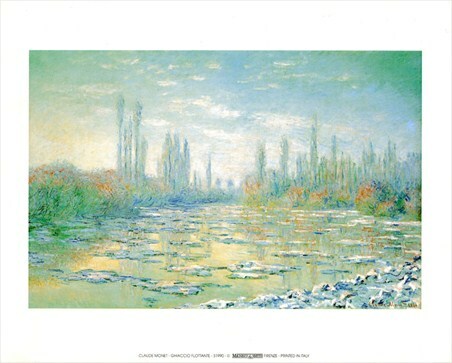 Painted in 1880 and translated as 'Floating Ice', this enchanting painting captures the frost of the winter beautifully, with delicate leaves and light tones, showing the relationship between land and water whilst emphasising the fragility of nature. 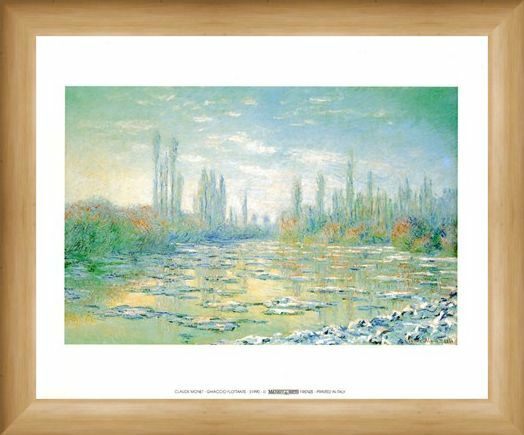 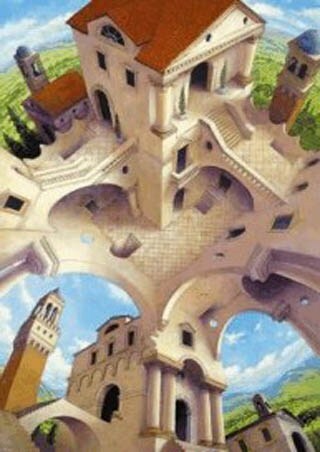 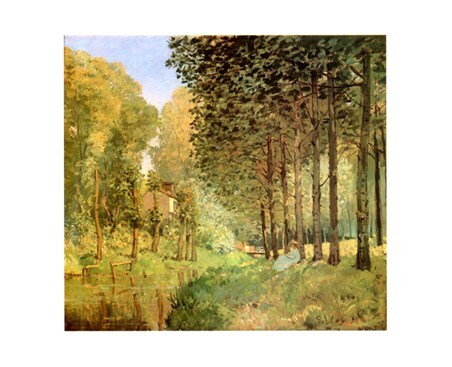 Delicate and intricately detailed, this stunning painting is sure to make an enchanting addition to any home. 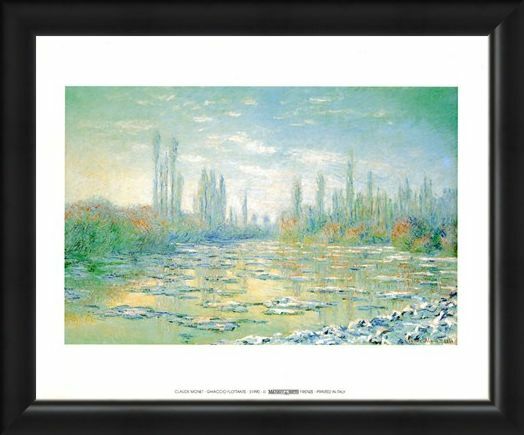 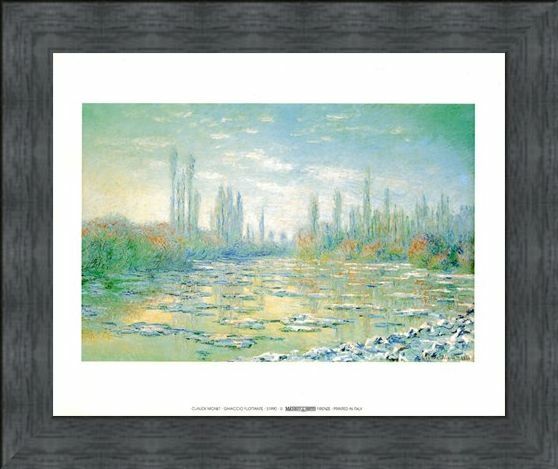 High quality, framed Floating Ice, Claude Monet mini print with a bespoke frame by our custom framing service.